Magento is an open source modern cloud eCommerce platform. Magento is an open source modern cloud eCommerce platform. It is written in PHP, and there is both a free and paid version of its platform. The Community edition is offered for free, while the paid version is targetted for Enterprises with increased cloud integration capabilities. Magento has some compelling features for an e-commerce business to build and grow a unique online store from scratch. The first stable version of Magento was released in 2008. In May 2018, Adobe acquired Magento for $1.68bn. The current stable version is Magento 2.3.0. 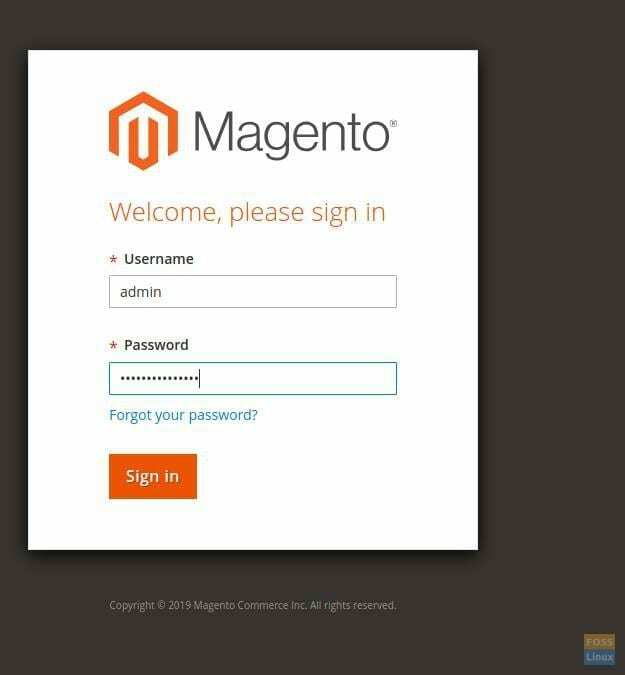 In this tutorial, we will present you a step-by-step guide on how to install and configure Magento 2.3.0 on Ubuntu 18.04. Before jumping on to steps, let’s figure out the prerequisites. The following command installs Nginx. 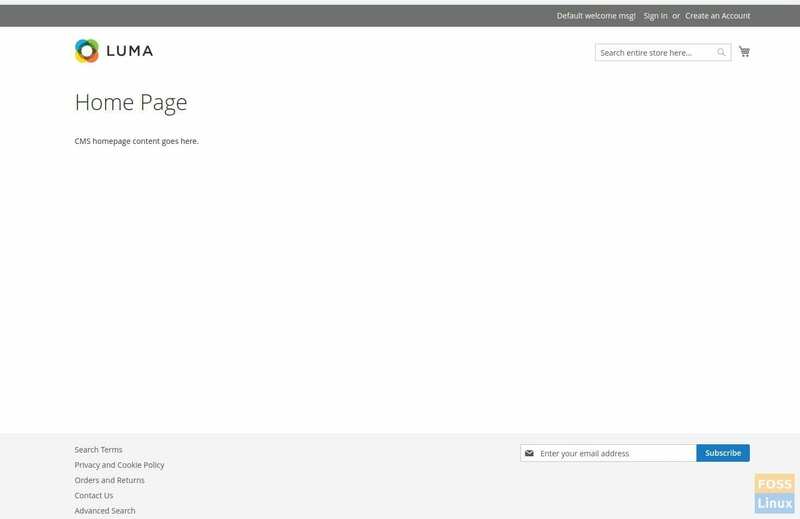 If you can see the Nginx default page. Installation is successful! 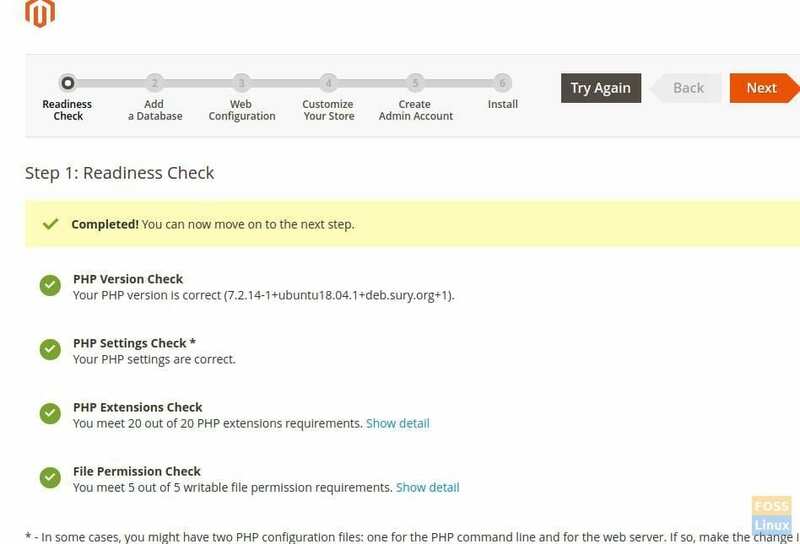 As usual, let’s first check for availability for PHP 7.2. You can next install PHP 7.2 and extensions. Modify PHP parameters to suit the Magento needs for optimal performance. Particularly, we will be indicating the RAM allocation and the execution time. Modify the following parameters. Yes, it’s the same as the previous mod. Save and close the file. You need to restart php fpm for the new settings to take effect. The same exercise to begin with. Check for the available version on the Repositories. 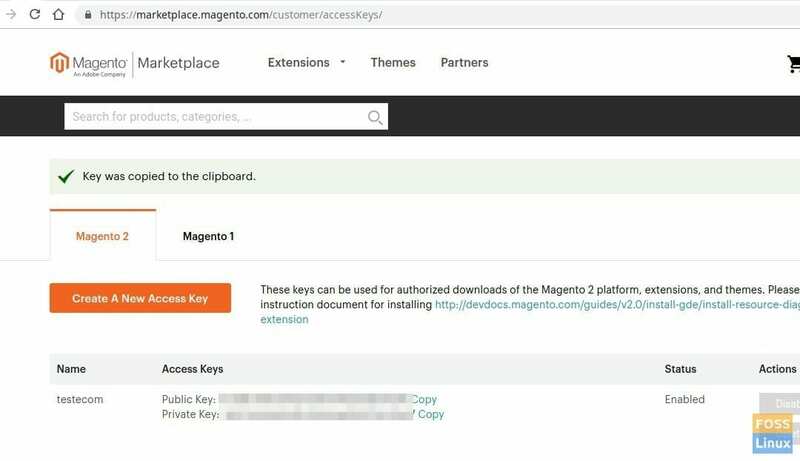 You need to get your authentication keys from Magento before downloading Magento via composer. 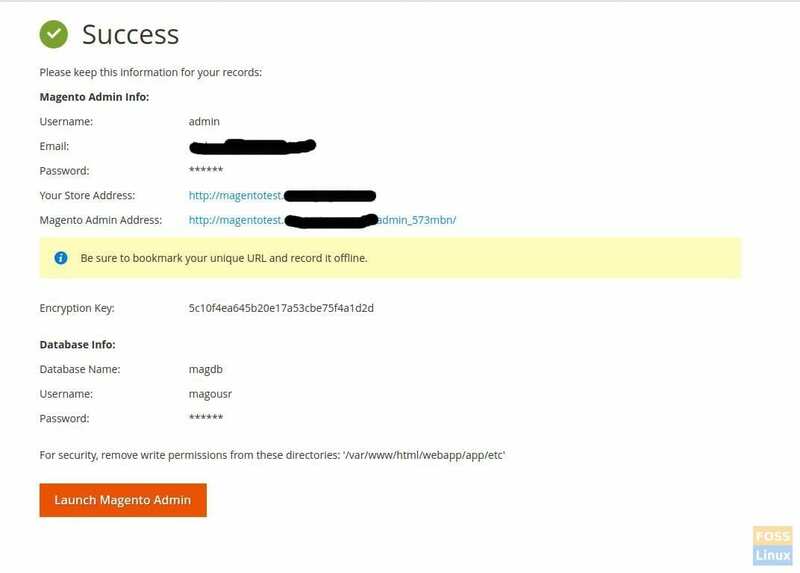 Log in to the Magento Marketplace. If you don’t have an account, you can create one for free by clicking on “Register”. Next, click on your account name in the top-right of the page and select “My Profile”. Click “Access Keys” in the Marketplace tab. Click “Create a New Access Key”. Enter a specific name for the keys and click “OK”. Use the “Public key” as your username and the “Private key” as your password. Change the user to the one you created earlier. composer create-project --repository=https://repo.magento.com/ magento/project-community-edition=2.3.0 . Also, you should see a prompt to save credentials. Type Y to begin downloading Magento and its needed modules. After the installation is done exit the terminal. Add the following contents to the file. Make sure to replace your domain name in place of magentotest.fosslinux.com in the below text. 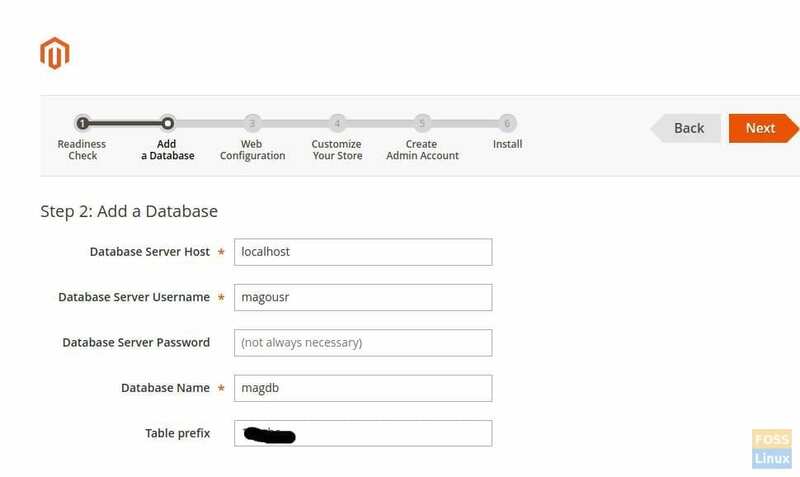 Login to MySQL server using root login. Create a database of your choice. 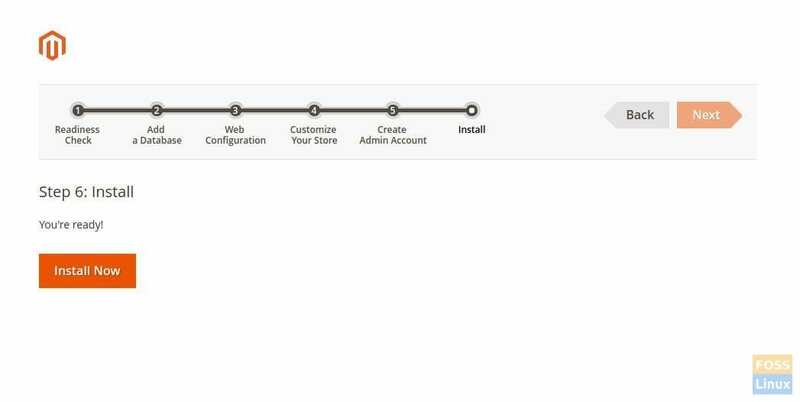 In order for the installation process to proceed smoothly, you need to set folder permission. Failing to do this often ends with Readiness check fail error in the upcoming stage. Change directory to your document root. Let’s start Magento! Launch a web browser and type your web server name. Obviously, replace magentotest.fosslinux.com with your domain name and hit enter. You should see the Magento web page. 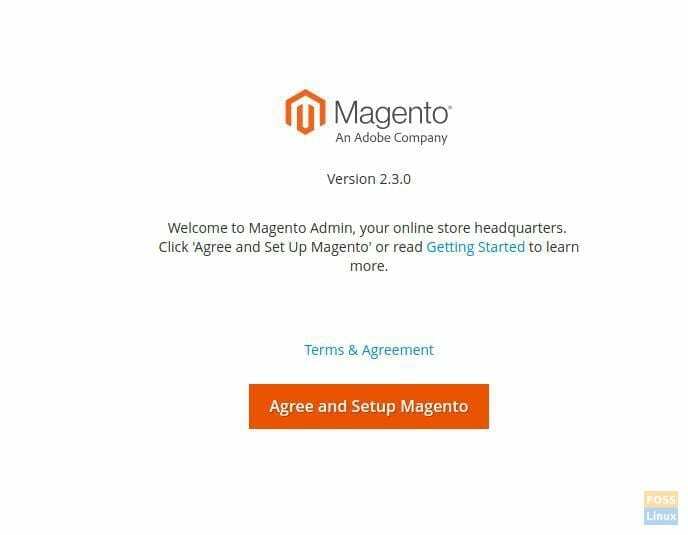 Click “Agree and setup Magento” and go through the Readiness Check process. Click “Next”. You should enter the database details. Enter Database Server Hostname, username, password, and database name. Optionally, we can enter a Table prefix to easily identify the database. Click “Next”. 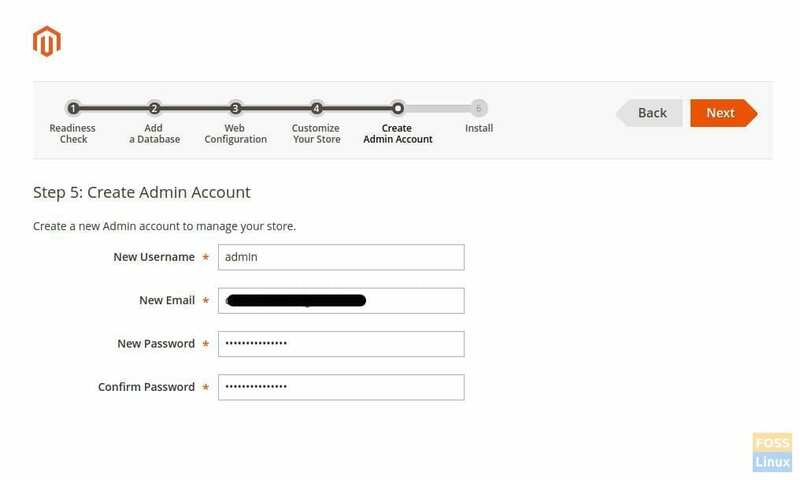 In the Web Configuration section, enter the store address followed by admin address. 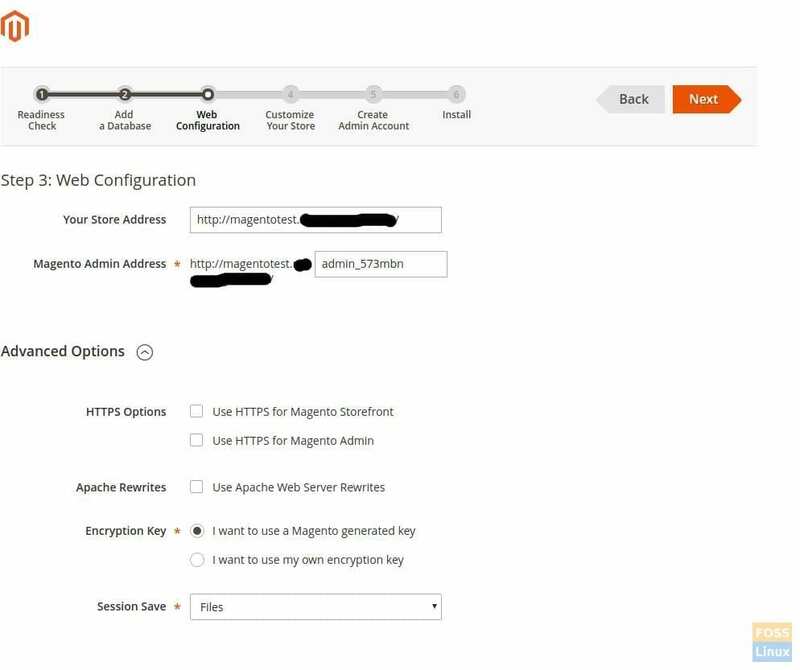 Make sure “Encryption Key” is set to “I want o use a Magento generated key”. Click “Next”. Finish the installation by clicking “Install Now”. Enter the admin username and login password. That’s it! Hopefully, your installation went smooth as mine. Let us know your feedback in the comments below.